Editor’s Note: This post was written by Our Small Hours contributor Christine Field of Real Mom Life. To find out more about Christine visit the Current Contributors page. Be sure to follow Christine on Facebook, Twitter and Pinterest. 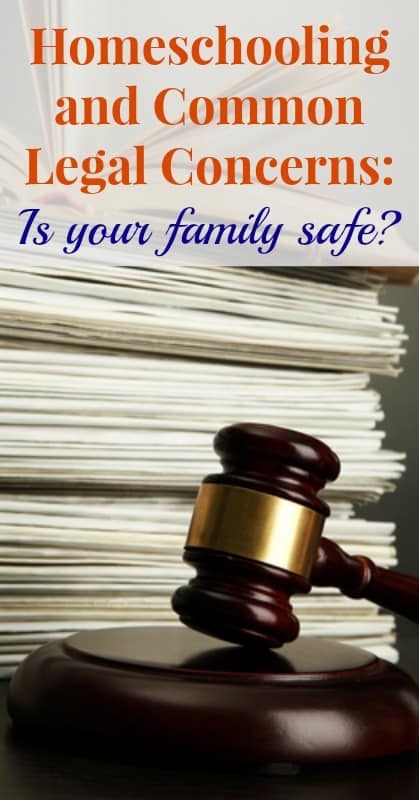 Legal Concerns and Homeschooling: Should You be Worried? Homeschooling is legal across the United States. States vary in their level of regulation, if any. Some states have stricter requirements, like registering with the state and doing achievement testing or evaluation. Most families aren’t going to have any legal trouble with homeschooling. As a former advising attorney for the National Center for Life and Liberty homeschool division, I have advised and counseled (and occasionally litigated) for numerous homeschool families. I can say with a fair degree of certainty that a true legal challenge to your homeschooling is rare indeed. When there are “legal challenges”, they often fall in the area of divorce, which is not a constitutional issue. Let me explain. You may read headlines, such as the one a few years ago where a New Hampshire court ordered a child to public school. The headline sends a shiver up your spine, but keep in mind that these cases are almost always in the context of a divorce case. What happens when mom and dad decide to get divorced is that the Judge needs to know what they intend to do about the kids. This involves a huge range of issues from child support to medical care; from visitation to summer camp; and it may also involve where the children are going to go to school. If the divorcing couple is in agreement to keep homeschooling, that’s wonderful! When they are not, there can be disastrous consequences. If they cannot agree, then the issue is put before a judge who is often predisposed to think that public school is the best solution for all. The legal dilemma I heard most often was from moms who wanted to continue to home school being opposed by dads who want mom to get a job and send the kids to school. It grieved my heart every time I spoke to a mom in this no-win situation. When there is a true challenge to homeschooling rights, it is the government telling parents they can or cannot do certain things. This would be a violation of a parent’s fundamental right to control the care and upbringing of their child. On the other hand, in a divorce case, the dispute is that of parent vs. parent. Regular rules of civil law apply and there is no issue of a fundamental right. Often in divorce and homeschooling cases, the issue turns on economics. An area where a parent may experience some push back from the state is if they are home educating a special needs child. As the parent of some special needs kiddos myself, I am so glad I was able to keep them home as long as I did. I learned new ways to teach and took classes and workshops to learn more about special needs learning. Some school districts may challenge a parent who seeks to withdraw a special needs student. But you should know that you have the same constitutional right to homeschool a special needs child as you do a neuro-typical child. In my personal opinion, it is good for everyone, but you must be up for the challenge and you must be willing to learn new ways to teach. A final area in which to exercise caution is that of homeschooling by non-parents, such as grandparents or friends. There are a few states where the parent has to be the person actually doing the homeschooling. This is not to say you cannot have someone help you. As long as you are assuming the complete legal responsibility for your child’s education, you probably won’t be challenged. Know your state’s law thoroughly. Why? Some bureaucrats, police or even social workers don’t know the homeschool law. If you are ever asked, “Under what authority are you doing this?” you will have a confident, ready answer. Follow the law to the best of your ability. Some families bristle at the thought of any regulation. If that is where you stand philosophically, just know that your children may be the ones to suffer consequences. Do your work as homeschoolers excellently. Most homeschooled kids are getting a far better education than their counterparts. But we have all met families who seem to never do schoolwork! I counseled a widow once who kept her kids home and did nothing with them for a full year after her husband passed away. While I respect homeschool styles and difficult situations, if you’re going to be a homeschooler, you have to do the work of homeschooling. Always keep records, even if your law does not specifically require this. Not doing so can cause some real heartache down the line. 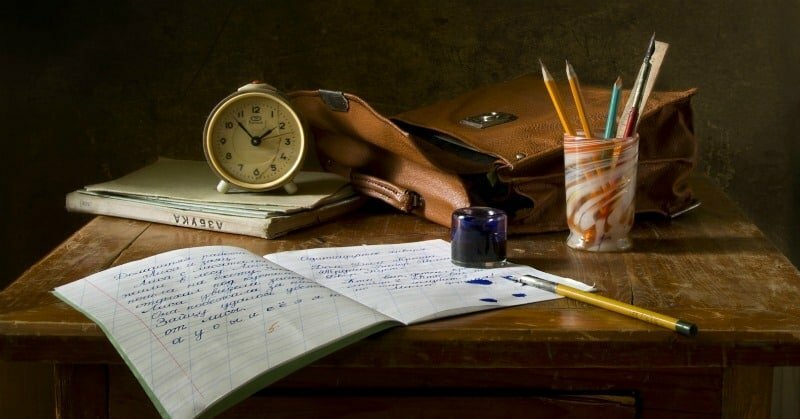 While a “homeschool diploma” is generally accepted, there are some instances where you may be required to show documentation of the work that was done. This has arisen in cases where homeschool grads apply to the military, apply to a government job, apply to law enforcement, as well as seeking admission to some schools. One mom I knew raised absolutely brilliant sons. They worked their way through all the levels of Saxon math. They read all the classics, participated in debate and actually taught Bible at church when they were quite young. They were excellent writers and had done all the Apologia science texts with ease. But mom kept no records. One of the sons applied to be a police officer and they wanted to see some documentation that fleshed out his high school experience. Mom could not produce it. The son never became a cop. The law may say no specific records are required of you, but if you’re ever one of these situations or if you are in court, your memory alone is not going to cut it. From 7th grade on, keep good records because remember: Your records are the ONLY records of your child’s education. Homeschoolers should have maximum freedom. One way to maintain that is to be a problem avoider by following these simple guidelines.